In 1980, one-year-old Gladson Dungdung and his family were displaced from their agricultural land for the construction of Kelaghat dam in Jharkhand and pushed into the forests of Simdega, where Dungdung’s father was arrested on allegations of felling trees. Ten years later, Dungdung’s parents, during another land struggle, were murdered. 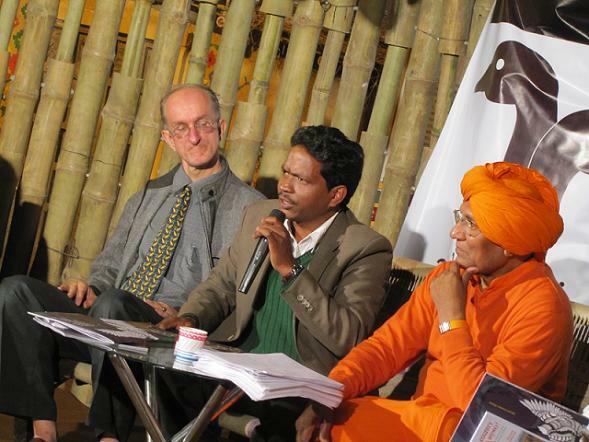 The book published by Adivaani and launched on Thursday at the Delhi World Book Fair by Himanshu Kumar, Swami Agnivesh and Felix Padel, is Gladson Dungdung’s attempt to tell the story of his people and their struggle.